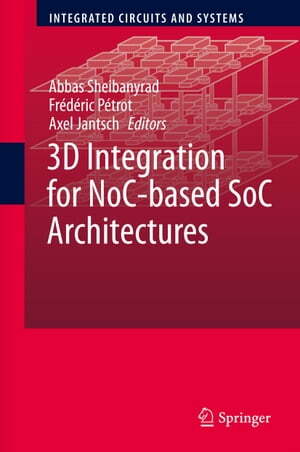 Collins Booksellers - 3D Integration for NoC-based SoC Architectures by Abbas Sheibanyrad, Frédéric Pétrot & Axel Jantsch, 9781441976185. Buy this book online. This book presents the research challenges that are due to the introduction of the 3rd dimension in chips for researchers and covers the whole architectural design approach for 3D-SoCs. Nowadays the 3D-Integration technologies, 3D-Design techniques, and 3D-Architectures are emerging as interesting, truly hot, broad topics. The present book gathers the recent advances in the whole domain by renowned experts in the field to build a comprehensive and consistent book around the hot topics of three-dimensional architectures and micro-architectures. This book includes contributions from high level international teams working in this field.